One of the blessings of parish life in the summer months is that the pace of life slows considerably, especially if the parish has a school, or, in our case, two schools. The pace of life all but stops. I tried to fill my first couple of summers with activity, feeling lazy if I wasn't always busy. Now I've come to enjoy the quiet days, spending them reading, resting and chatting away when priestly duties are not occupying my time. I don't shy away from my priestly duties, but when things are quiet I'm happy to accept it and take advantage of it, knowing the pace of life will pick up in a day or two (it always happens that way). This week, calendar wise, is very quiet; next week looks a bit busier. Today I will take advantage of the quiet week and take a little trip to St. Louis. Catholic Supply is having a big sale and I want to see if there are any good deals on anything I want. I also want to visit the Vincentian Press, which I haven't visited in years. I will make a visit to the new basilica - and maybe the old - and grab a bite of gelato. After my day in St. Louis I will return to Effingham for soccer practice. It promises to be an enjoyable day and the weather promises to make for a beautiful drive. I'm very happy that not only are they different in color, but their shields and helmets are also different. I'm sure I will be able to find a good place for them in my new home come September. Yesterday two families invited me to join them at the lake just outside of Effingham. The weather could not have been more beautiful: about 85 degrees, very little humidity, a blue sky and a good breeze. The afternoon began with a boat ride before returning to the house for lunch/dinner. Descendants of Italians were in charge of the meal and, hence, there was plenty of food. Appetizers consisted of caprese, cheeses, meats, artichoke hearts and artichoke dip, strawberries, grapes and a few other things, as well. The main meal consisted of spaghetti with a Roman sauce (delicious! ), steak, shrimp, tilapia, sausage, salad, bread and a few other things that I don't now remember. Naturally, we took our time eating. Once we finished eating a slip and slide was set up on the hill next to the house leading into the lake. The slide was made out of an old billboard sign and the bottom of it a ramp was constructed to launch sliders - who slid down on tubes - into the lake. I had seen this set up before and it looked like a lot of fun. After some time, two of the high school students convinced me to go down with them. I reluctantly agreed, on condition that the tube would not flip and I would not be thrown off (I don't really like such rides). They agreed. We went down the hill, over the ramp and onto the water without flipping or falling. I didn't enjoy it, but I did it. After a couple of hours in the lake we began to get a little chilly as the sun set so we returned to the house for dessert: cookies, a cheese cake, a lemon tart and soemething else that I didn't have. After a couple more hours of chatting away and goofing around, I returned to the rectory after spending about nine hours at the lake. It was a great way to spend a Sunday after two Masses! Wednesday afternoon I drove to Racine, Wisconsin to join our high school students for a work mission camp. The days leading up to the camp were most frustrating. The soccer players were told they could either attend Coach K’s funeral or go to the camp. I was told I could come late and then told I couldn’t; this pattern was repeated several times. Saturday afternoon I was again told I could not come because I wouldn’t be present for the entire week, but on Sunday afternoon I was told I could go after all. No real explanations were ever really given and by Sunday evening I had decided not to go because it seemed my presence was not wanted. Who really wants to spend several days where they are not wanted? No real explanations were given by those in charge of the camp why the soccer boys and I could not arrive late, nor was an explanation given as to the change regarding my late arrival. By Tuesday afternoon some of our kids had called asking me to come up, which I agreed to do. I expected a few days of misery for me, but knew I had to go for the sake of the students. Once I arrived, things seem to have calmed down and Thursday and Friday went well; we returned to Effingham Saturday afternoon. I spent my days riding around with the supervisors because I was not too to do any work because I missed the “safety video.” Why couldn’t be shown to me was never explained; the students said it wasn’t very long. At any ride, I mostly rode with a man named Chuck who owned a fencing company and helped the campers build fences for people. He was very friendly and taught me quite a bit about fence building. He was very enjoyable to be with. When the students called me earlier in the week they had experienced two of these services (the camp itself is not a Catholic camp). They found them to be, as they said, “fake” and “shallow.” If no other good were to come of the camp, I think this alone would have been worth it. What they meant was that the jumping around, the guitars and drums, the goofiness of the “worship” seemed too focused on themselves and not enough on God. It led to long for the Mass and strengthened their appreciation of the Sacraments, especially of the Mass and of Confession. God be praised! On the way home some of the boys rode with me so I wouldn’t have to make the trip home on my own. Since I slept very little while I was there, I was grateful for their company. As we drove through Chicago, we stopped at The House of Hansen so I could order a black chasuble. It should be ready by the end of July. The boys saw one on the rack and really liked it. They hadn’t been to such a shop before and I think they liked it. They seemed to enjoy looking at the different vestments available. We arrived in Effingham in time for me to throw a homily together in outline form. After Mass, I went to bed. All in all, I am glad I went to the work camp, for the sake of the students, but because of the unreasonableness of the situation concerning Coach K’s funeral I’m not sure I would do it again, at least of my own decision. Unfortunately for Archbishop Lucas, this AP photo is improperly labeled; the caption calls him Archbishop Gregory Aymond, but a simple Google search shows it is not. Somehow, though, this seems fitting for this unassuming man. Congratulations, Archbishop! Our prayers are with you! A boy's journey to the priesthood? This morning I noticed that the number of my "followers" through Blogger increased a few and so I spent a few moments poking around to see who joined the crew. I found a very interesting blog that I look forward to following: Writings of a boy discerning God's call. Go take a look. Saturday afternoon I returned from the work camp (more on that in a bit) and yesterday I spent the day at the lake with good friends and good food (more on that in a bit, too). I apologize for the lack of posts over the past few days and I'm glad to be back to blogging today. The Most Reverend Allen Vigneron, the Archbishop of Detroit, is blogging from Rome while he is there to receive the pallium. Capello tip to the American Papist. Father Selvester, at Shouts in the Piazza, explains the history and symbolism of the pallium, which the Holy Father bestowed upon the new Metropolitan Archbishops this morning in Rome. At long last, the Crescat is holding a contest for the world’s ugliest church. Don't forget today's day of prayer. The death of our brother Karol has stunned us all. His death came too soon, we say; too young, he was, to die. Today we can make the words of the Psalmist our own, “I believed, even when I said, “I am greatly afflicted” (Psalm 116:10). We are afflicted this night with grief, yet we have gathered here in faith, for “whether we live or die, we are the Lord’s” (Romans 14:8). The reality of his death reminds us of the fragility of human life and calls to mind the things that truly last: faith, which comes from and leads us to God; hope, which leads us to trust in the Lord’s mercy; and love, which binds us together in friendship with God and with one another (cf. I Corinthians 13:13). To die doing what a man loves is a rare privilege given only to a few. Karol’s love of soccer – and of those he coached – was no secret. Though I only knew him a short time, I am certain that he learned much about life from the sport he loved. When he returned this summer to coach the boys at St. Anthony’s, Karol brought with him a focus on the basics of the game. On several occasions, he reminded the boys that unless they had the fundamentals of controlling the ball down, they could never hope to pull off any tricks. A match is won not with fancy footwork, but with basic skills. The mark of a successful coach – like any teacher - is not found simply in whether his team wins often, but on the lessons he gives and impresses upon the hearts of his players. As it is with soccer, so it is with life; Coach K taught us not only about soccer, but about life, as well. We know that our only true and lasting happiness lies in God and that the way to him is found in faithfully and fervently following after Jesus Christ. If we do not have the basics of discipleship down, we cannot hope to achieve the ultimate goal of soaring to the heights of spiritual perfection. The basics of the Christian life – the love of God and the love of neighbor – are simple, but they are not easy. Just as the basics of controlling the soccer ball must be practiced and rehearsed so, too, must the love of God and of neighbor be practiced with dedication if they are too take root, grow and flourish. They are expressed through daily prayer and the reading of the Scriptures; through the reception of the Sacraments and the frequent confession of sins; through the genuine concern for others over and above myself and the living of a just life. These fundamentals of the Christian life, of living a good life, are most important because “each of us shall give an account of himself to God” (Romans 14:12). Remembering it over and over leaves my soul downcast within me. But I will call this to mind, as my reason to have hope: the favors of the Lord are not exhausted, his mercies are not spent. They are renewed every morning, so great is faithfulness (Lamentations 3:21-21). We have come both in sadness and in hope, and both of these are right and good. Only five days before he died Karol asked me which version of the Bible he should purchase because he wanted to read from the Bible every day and wanted a good and readable translation. He wanted to know the Lord better, to encounter him in the Sacred Writings and to hear his voice. We are told, “Good is the Lord to one who waits for him, to the soul that seeks him. It is good to hope in silence for the saving help of the Lord” (Lamentations 3:25-26). At the end of his life, Karol waited for the Lord; at the end of our lives, may each of us be found doing the same, that he who sits enthroned above all creation may say to us when we stand before the “judgment seat of God,” “Come, you who are blessed by my Father. Inherit the kingdom prepared for you from the foundation of the world” (Romans 14:10; Matthew 25:34). Let us now entrust our son, our father, our brother, coach and friend into the merciful hand of God. May the Lord receive his humble servant. May he forgive his sins and raise him up “to eternal life” to “walk in the presence of the Lord in the land of the living” (Matthew 25:46; Psalm 116:9). May we, having learned from his example, likewise seek the Lord, striving always to live the authentic fundamentals of life, that we might live with our brother forever. Amen. Yesterday turned out to be a most restful and refreshing day. I didn’t see a single soul after 7:30 a.m. until I saw my Pastor this morning about 7:30. It was wonderful! It isn’t that I don’t like people, but from time to time I need to get away from everything and hiding in my suite yesterday proved to be just what I needed. It’s the curse – or the blessing – of the introvert. Though I was in Effingham yet today and will be so tomorrow – though I considering a quick trip to St. Louis – I will largely remain in hiding. Today I was able to work on the homily I will preach tomorrow for Coach K’s funeral. I worked on it before I met with his family this afternoon to talk about the services. They asked what I had in mind and were very happy with the thoughts I’ve put together. That came as a great relief because this will not be easy. I enjoy celebrating funerals and find them rather peaceful. Perhaps it’s because I’ve encountered death many times over the course of my years. Death does not frighten me; I rather look forward to my own death. Still, tragedy still affects me and the shock of his death will likely return tomorrow evening. The soccer team played a scrimmage match this evening against Effingham High School. Our boys played well, though they wore out easily. A number of our older players were unable to make the game. In the end, Effingham won 2-1, scoring the winning goal with a sweet shot. Even so, I think our boys had a good time. This afternoon I received a call from one of those on their way to the work camp with the high school students. The leader of our group called the co-sponsor of the camp on the way and apparently received permission for me to go up to the camp on Wednesday and stay through the conclusion. I don't know why there has been this sudden and most unexpected change, but I will take advantage of it and hope for the best. If I get the impression I am not wanted, I simply find something else to do. The kids have already heard the news and are excited to welcome me, and I'm happy to be able to share this experience with them. The boys played extremely well in this weekend’s soccer tournament at Effingham High School. In their first game Friday afternoon against Altamont, the Bulldogs won 2-0. In their morning game Saturday against Teutopolis, the boys won 1-0. They lost their third game of the tournament Saturday afternoon against Effingham 1-0. As they played this match, I could tell they were very tired; nevertheless, they played well. Naturally, the boys were very excited about the two victories and a bit upset about their loss. Nevertheless, they remarked, “We’ve already tied our record for last season.” It’s sad, but true. I think Coach K would be proud of them; I know I am. It apparently poured down enough rain Friday night to soak the soccer field on which we played. The ground squished enough to soak through to your socks, which made me glad I chose to wear sandals or, as they call them in Hawaii, slippas. Not a few times a player would give the ball a high kick and when it hit the field the players kept looking around for it circles, wondering where it went. Some of the puddles in the field were deep enough for the ball to float on the field! One of our boys took a bit of a forward tumble and landing face down on the field; his jersey was thoroughly soaked. When returned from lunch for the second game, much of the water was now sitting on top of the grace. Three of our alumni soccer players are back in Effingham for the summer and took on the coaching duties for the tournament and they’ll continue to coach the scrimmage games held through the summer. They enjoy the coaching, the boys like having them back, and I like not having to do something that I have no real knowledge about. I brought my camera along with me to the tournament and took quite a few pictures during the games (Friday and Saturday). Thanks to the generous help of our retired priest, I finally have a chance to reflect on the events of this past week following the sudden death of Coach K, who collapsed Wednesday evening on the soccer field toward the end of practice. The days following have been extremely busy for me, filled largely with arrangements about the soccer program. There was much to be done and boys to be cared for. Shortly after the boys left the church following the prayers for the dead, one of the players sent me a text message, saying, “Hey all the soccer players want to have this tournament don’t let em cancel it”. That was all I needed to know. They wanted to play in the tournament held this weekend in honor of Coach K. He was only their coach for about two weeks, but he taught them much. I’ve slept precious little since Wednesday, but with each passing night I have slept a bit more (five hours last night). The shock of it all and the work to be done has largely kept me from reflecting on the events as I know I need too. This morning I was to leave to with some of the high school students on a work camp. With Coach K’s services set for Tuesday, I knew I would have to stay behind and hoped to join them Wednesday evening and return with them on Saturday. For reasons that elude and baffle me, I am told it is not possible for me to arrive late. As frustrating as this is – and as much as it angers on me on account of the kids as they were very much looking forward to my being with them (some are still trying to convince to go so they can “sneak me in”) – it is also affording me, at long last, a couple of days to process what has occurred. I stopped by to visit our retired priest Friday evening and explained the situation to him, asking him to take my Masses for the next few days as originally planned, even though I would remain in Effingham. I simply lacked the emotional, spiritual and physical strength to keep going as I had been. So much of my energy has been expended for others since Wednesday – especially for the soccer team – that until today I had spent little on myself. Friday I especially began to feel the weight of it all. I simply could not minister more to others until I gave the Lord the time to minister to me. Our retired priest graciously agreed to celebrate the Masses as planned. May the Lord reward him for his goodness! This has been a lesson well learned. My first instinct is always to give all that I have for others. In the future I must also remember to give some time for myself as well. If I know myself as well as I think I do, I will need to continually be reminded of this. Intellectually I know the truth of this need for me, but my heart would break if I didn’t care first for others. The quiet morning has already borne much fruit for me. It is very rare that a priest is able to take Sunday as a true day of rest, a special gift given me today. The Lord knows I needed it and in his love arranged it to be so. I celebrated the evening Mass yesterday and preached from a quickly sketched outline. I may get around to typing it out more fully for you this afternoon, and I may not. Either way, you now know why a homily has not yet been posted this weekend. I have just returned from the first game of this weekend's Effingham Tournament. The clouds came in after the game began and cooled the temperatures a bit. It is amazing how different 91 degrees feels under the sun and under the clouds. We also had a good, strong breeze throughout much of the game. Before the game against Altamont began, we took a brief moment of silence in honor of Coach K.
I'm beyond delighted to say the boys played very well, better than I've seen them play in quite some time. The St. Anthony Bulldogs scored the only two points of the game. Congratulations, boys! We had a good number of fans come out to support the team who commented that it looked as though we had enough coaches to field a time. Several of our alumni players came out to help the boys, and for their help - and the support of the fans - I'm truly grateful. In just over an hour I will celebrate Mass for the De Colores community in the Effingham area and then begin working on Sunday's homily. Who's in the mood for a good game? If you're in the Effingham area - and even if you're not - consider yourself invited to the Effingham Tournament this weekend. Come on out and support our soccer team! We play at the field of Effingham High School Friday afternoon at 4:00, Saturday morning at 9:00, and Saturday afternoon at 12:30. We'd be delighted to have a large fan base! In honor of Archbishop George J. Lucas, I wish to invite all parishioners in the Diocese of Springfield in Illinois to a farewell reception on Thursday, July 16, 2009. The reception will be at Christ the King Parish, 1930 Barberry Drive , Springfield , Illinois . We will have evening prayer at 6:30 p.m. in the Church and the reception following from 7:00 p.m. to 9:00 p.m. in the parish hall. His Emminence Justin Cardinal Rigali, Archbishop of Philadelphia suggests that Pope Benedict XVI has called the Year for Priests to coincide with the sesquintennial of the death of Saint John Marie Vianney, the patron of parish priests, because "our Holy Father not only possesses intellectual knowledge but also knows the importance of holiness, especially for the priest." Be sure to read the rest of his thoughts. Today, the Solemnity of the Sacred Heart of Jesus, begins the special Year for Priests called for by Pope Benedict XVI. The Holy See has put together a page collecting the addresses and homilies the Holy Father has given to and about priests. Times of grief are always very strange and disconcerting. Though much has changed, life must continue. I slept very little last night – two hours at most, I think. I spent the night in prayer for Coach K and his family, but most of all for the soccer players. These twenty-four hours later, I am still stunned , really, at what has happened. Fortunately, the little sleep I had last night came just before my alarm went off to prepare for the 6:30 a.m. Mass. After Mass I prepared a bit for a radio interview at 7:40. It seemed very strange to be doing such a thing when a friend had just died only the night before, yet commitments were made and had to be kept. Grief usually seems to pull me in two separate directions: either toward duty or toward introspection. Today was spent mostly toward duty. I hope to be able to turn toward introspection tomorrow. After the radio interview I had to at least pretend to take up the role as head soccer coach and see to some arrangements to prepare for the tournament this weekend and to do so I met with the athletic director. Together we were able to arrange a few things, but there is still much to be done tomorrow. I thought having to assume the role of pastor would be difficult; compared to having to take up that of head coach, being pastor seems simple. Fr. Kyle Schnippel, the Director of Vocations for the Diocese of Cincinnati and author of the blog Called By Name, stopped in this morning for a visit on his way to his brother’s. He’s much taller than I would have imagined. Either that, or I’m just short. One of the secretaries at the high school called me and asked that I come immediately. I wasn’t sure what to expect it and apologized to Fr. Kyle and asked him to excuse me. We hadn’t even lunch and I’d only shown him the parish center and the church. He was very gracious and understanding. It turns one of the local television stations had apparently sent a reporter to the high school who would be arriving shortly and wanted to interview me. I think this was my second television news interview, the first having taken place in Sydney during the World Youth Day 2008. Afterwards I spoke with a reporter for the Effingham Daily News for an article that I believe will be published tomorrow. I then visited with the secretary and the athletic director before grabbing a bite to eat. At 2:45 a parishioner stopped in (we had already arranged the time yesterday afternoon) to have my give a rough translation of a Latin document in his possession that came with a relic. It turns out he has a first class relic of Saint Thomas Aquinas; it is a piece of one of his bones. Afterwards I saw to a few more soccer details before spending some time in prayer before going to soccer practice at 5:00. One of our parishioners spoke briefly with the boys about grief and mourning and I reiterated some of what she said from my own experience. I spent much a practice talking with our principal while two of our alumni took care of the light practice. These young men will help coach the tournament this weekend and will also help when they can throughout the summer. I am very grateful for their help! This has reminded me that I am happy to do what I do well and only all to happy to hand over to others things I don’t do well. I can see to the organization of practices and to communication, but when it comes to leading a practice I’m very happy to have others to help who know what they’re doing. After soccer practice I met with a few students and their parents to talk about the next World Youth Day in Madrid in 2011. Afterwards I visited with a few of them who have become good friends over the past year or so and arranged a time to visit with them and have dinner at one of their homes next weekend. Tomorrow I have the early Mass again and a burial later in the morning of an Effingham native who died in Florida. Fortunately, the afternoon is free until the soccer game at 4:00. At 7:30 I will celebrate Mass at our mission parish for the De Colores community. WCIA TV has a brief story on the death of Coach K. The reporter and videographer came down this morning to interview me. WAND TV has also a brief story. You have to suffer through an advertisement prior to each. WXEF radio has this story. I am very proud of our soccer team. Last night they experienced a great tragedy and responded appropriately and well. To help prepare for a tournament this weekend we held an extra practice last night for those who could come. I left the field about 6:50 p.m. to have dinner with two parishioners with whom I will go on a mission work camp next week. As I was just about to leave the rectory one of the boys called me and told me to come right back to the field; the coach had collapsed on the field a few minutes before and the paramedics were there. I quickly drove to the field and there learned that two of the boys quickly began CPR as another called 911. The boys continued with CPR until the paramedics arrived. When the paramedics arrived one of the boys looked through the recent calls on the coaches phone to contact his family. Once he did, one of the mom’s talked with his family members and worked on contacting others. They reacted very well and just as they should have. I daresay they reacted better than I might have. I am very proud of them. I anointed the coach as the paramedics brought him to the ambulance and then followed them to the emergency room, praying for him and the boys as the doctors and nurses worked on him. At one point I was asked to step out of the room in the ER and talk with someone outside. I was surprised to see one of the boy’s mothers surrounded by a good number of the players who had come to the hospital to be with their coach. In fact, I think all of the boys who could came to the hospital. Not only was I surprised; I was impressed and very proud. After some thirty minutes of work, the medical staff was unable to revive their coach; he died of heat exhaustion. I spent some time with the coach’s son and his wife and prayed the prayers for the dead with them. When the pastoral ministry staff person arrived, I asked if they would mind if I went back to the boys to pray with them and tell them what happened; they agreed that I should go and be with the boys. Word was quickly spread to the players who couldn’t be at the hospital and we gathered at 8:45 in the church to pray the prayers for the dead. Most of the boys came, as did a number of parents and alumni. I was again very proud of them. Coach K as he was called, coached our soccer team a few years back but had to resign the team four years ago, I think, because of his duties with work. He agreed to coach the boys through the summer this year and was awaiting word from his new employer to see if he would be allowed the time to coach the boys for the fall season. We were all hoping he could do so, and I know he was, too. Soccer was his love and he truly enjoyed coaching our boys. Last season, whenever he could, he would come to the boys’ games to encourage them and offer a few pointers. He was truly a good man and, though I only knew him a short time, I am grateful to have met him and worked with him. The boys and I both learned a lot from him over the last week and a half. The boys are insistent that we play the tournament this weekend as planned, in honor of coach. A number of the alumni who are home for the summer will help me coach and their assistance is most welcome and necessary. Where we go from here I cannot say. I expect they will want to continue with the summer practices and scrimmages as planned; I hope they do. Please, keep the boys in your prayers, and coach and his family, as well. This will not be easy for the boys. Practice tonight will be a light one – Coach K had already planned it that way. I will talk with the boys a bit more at the beginning before we do a few drills. My plans are currently be rearranged and are just about all in place. I was to be in Springfield Saturday for the ordination of a class of deacons. As much as I want to be there, I think at this time my presence with the soccer team is more important. I will keep the ordinandi and their families in my prayers. I was to leave Sunday morning for the work mission camp in Wisconsin, but will now leave on Wednesday in order to attend the funeral. Six of the boys on the team are also going to the work camp. One of the moms kindly offered me the use of her van, which conveniently (?) seats seven people, with room for luggage. This way, at least, the boys will be able to stay for the funeral and still go to the work camp. I do not read a lot fiction and when I do it is usually something along the lines of The Lord of the Rings. I only rarely read a work of fiction concerning the modern era (I have always preferred medieval-ish things). However, having heard a great deal about Piers Paul Read's new novel, The Death of a Pope, I decided to give it a read. And I am glad I did. It took me about thirty-five pages to get into the book, as it were, but after that I was hooked. I had a quiet day yesterday and took advantage of it to read the book. Read develops the plot and characters well, and keeps the twists coming in such a way that I did not want to put the book down for the last one hundred pages or so. If you're looking for a good summer read, grab a copy of this book. Today feels as though it will be a busy day, although I do not think it will be any busier than a normal day during the school year. Isn't strange how "busy" days in the summer aren't as busy as "busy" days in the rest of the year. I have already celebrated Mass and now I have a few things to see to here in the office before the rest of the world gets to work. At 9:00 a.m., I will meet with a couple whose wedding I will witness next month. They have a few questions to ask before all of their preparations will (I think) be complete. Around 10:00 a.m., Father Davies Edassery, SAC will be visiting the parish with his religious superior. At 10:30 a.m., I will celebrate Mass at an assisted living facility within the parish (the one I like to call the "St. Anthony of Padua Retirement Monastery") and receive a 78 year old women into the Church. Baptized 63 years ago she moved into this particular facility a few years ago and was so impressed by the faithful Catholics there who gather each day for prayer and fellowship that she wished to one of them. She is very excited about today. I am, too. At 1:30 p.m., I will meet with a spiritual directee. At 5:30 p.m., we have soccer practice to prepare for a tournament this weekend. At 7:00 p.m., I will have dinner with a couple of parishioners. I will be with them next week and about 25 high school students on a mission work camp (more on this later). At 9:00 p.m., I will meet with the Mom's Ministry group and talk with them about the virtues, namely what a virtue is and what virtues they should strive after as women and mothers. You'll notice - most likely - that open space of time in the later part of the afternoon. If Father Edassery is still around I will visit with him. If he is not I will use that time for a bit of rest. The weather has been playing havoc lately with my arthritis. Humidity is nasty. At the sound of those words a flurry of activity takes flight in my mind trying to determine what will next be said. As a priest, I hear these words a lot and they can precede any number of scenarios, some good and others bad. After Mass Sunday morning and before a Baptism a woman approached me saying these very words. Apparently her son in Fond du Lac, Wisconsin is a frequent reader of this blog and asked her to greet me. And so to you in Fond du Lac, I greet you and thank you. Rest assured, this blog will continue in my new assignment. Flipping through a catalogue this morning I stumbled upon this story of Christmas stole. It is described as "a must for Children's Liturgies." I think not. Not only does it beg the question, "What color is it?," it does nothing to contribute the dignity of the Liturgy. Rather, it seems to lessen its dignity which only rarely increases faith. Rest assured: if I receive one of these it will never see the light of day. Over the past few weeks - after receiving my Decree of Appointment - I have been considering how one piece of paper can change your life. Some papers change life only in small ways and others in large ways. Seven hundred and ninety-four years ago today the English King John acceded to the demands of his barons at Runnymede and placed his seal to the Magna Carta, a document that changed the world. It is one of those documents that everyone should read at least once. If you wish to learn more about this document and its consequences, let me recommend to you the book 1215: The Year of Magna Carta, by Danny Danziger and John Gillingham. It is a readable work filled with marvelous and interesting tidbits. Below is the homily I preached yesterday morning, a reworking of Saturday evening's homily. “How shall I make a return to the Lord for all the good he has done for me” (Psalm 116:12)? These words of the Psalmist have long resounded in my heart and soul. My friends, do you know what it is that the Lord has done for you? We cannot come before him grateful hearts, we cannot fully unite ourselves with this Eucharist, with this act of thanksgiving, unless we have recognized the good deeds the Lord has done for us. The passage from the Book of Exodus, which we heard a few moments ago, occurs after the Lord has given the law to Moses. In giving the law, the Lord gives us the path of life, the fullness of joy in his presence (cf. Psalm 16:11). He has given us these signposts, as it were, that lead to authentic freedom, joy and peace, so that we might always know the way that leads to him. After giving the law, the Lord sealed his covenant with us by the sprinkling of blood, uniting the people to himself and giving them a means to atone for sins. The reading from the Epistle to the Hebrews reminds us that the Lord Jesus has established a new covenant with us so that we might “receive the promised eternal inheritance” (Hebrews 9:15). Saint Mark’s account of the institution of the Eucharist at the Last Supper shows us how Jesus established this new covenant with us. In giving his own Body and Blood in the Eucharist the Lord sealed the new covenant with his own blood, “once for all” (Hebrews 7:27). He gave us the Eucharist as “a pledge of this love, in order never to depart from his own and to make them sharers in his Passover,” and as the memorial of his death and Resurrection so that the grace of his sacrifice might be offered to all people. All of this he accomplished when he said to the Apostles, “Do this in memory of me” (Luke 22:19). My life, as you know, has not always been easy – at times it has been almost unbearable – but I have always been certain of the Lord’s closeness to me. In times of profound grief, of grave illness, of uncertainty; in times of great joy and gladness and gratitude; I have always known the Lord’s abiding presence in the Eucharist. To the tabernacle I have often come seeking solace and strength, joy and peace, and this I have always found, never leaving disappointed. I have not always received the answers I sought, but I have always been calmed by his love. It is through the Eucharist, which we celebrate today in a particular way on this Solemnity of the Body and Blood of Christ, that we see most clearly “all the good he has done for [us] (Psalm 116:12). The Eucharist is the Lord’s answer to suffering and pain; he does not simply erase it with a brush of his hand; such would be beneath his dignity and unworthy of his love. Rather, he does the inconceivable: he enters into suffering itself, to suffer with us and for us, to give his all for us. He redeems us with his own blood that we might live in and for him. This is true and authentic love; this is the love that is always present with us through the ministry of his priests who are configured to him in such a way as to act in his person; without their ministry there can be no celebration of the Eucharist. “How shall I make a return to the Lord for all the good he has done for me?” I knew that the Lord asked one thing of me; the gift of my life. Seeing how he had given himself so freely to me, how could I refuse to give myself freely to him? In the Scriptures I read, “Follow me,” and, “Do this in remembrance of me.” It seemed as though he spoke directly to me. And so I said, “The cup of salvation I will take up, and I will call upon the name of the name of the Lord” (Psalm 116:13). What is this cup of salvation? It is the same chalice to which he referred when he said to the Apostles James and John, “The chalice that I drink you will drink” (Mark 10:39). Can it be any other than the chalice offered to Christ during his agony in the Garden of Gethsemane (cf. Mark 14:36)? It is his cup of suffering, the cup of his blood, the blood of the new and everlasting covenant. It is the cup of his love, by which he anticipated his death on the Cross. It is this cup that I offered to take up, both for my own sanctification and for that of others, in keeping with his will. I sensed that the Lord wanted to use me to make his presence known in the sacraments and there was no other response I could offer. He continues to call men to share in his priestly ministry, to take up the cup of salvation, and, indeed, we need such priests. We need men of courage and faith to heed his command to make bring the Eucharist to every part of the world. If those whom he calls would answer in faith and offer themselves for his service, I daresay we would have no parish without a priest. On Friday, Holy Mother Church will observe the Solemnity of the Sacred Heart of Jesus, which is intimately connected with the Eucharist. It is from his pierced heart that “blood and water” flowed, symbolizing Baptism and the Eucharist (John 19:34). On the same day, Pope Benedict XVI will open a special Year for Priests, coinciding with the 150th anniversary of the death of Saint John Mary Vianney, the patron saint of parish priests. This special year, which is meant to encourage priests to strive for spiritual perfection, will conclude one year from Friday. If you love the Eucharist, my friends, if you cherish this priceless treasure which the Lord has left to his Church, pray for your priests, that we might grow daily in holiness and allow the Lord to mold our hearts ever more closely to his own. Pray that we will recognize more and more that “God is the only treasure which ultimately people desire to find in a priest.” Pray, then, that we will be holy and bring the Eucharist to you with reverence and love, that we will allows keep our vows to the Lord in the presence of his people (cf. Psalm 116:18). Pray, too, that more young men will hear the call of the Lord and take up the cup of salvation in his service. Pray that young men will open their hearts to the Lord, recognize his goodness toward them and respond with generous hearts that his abiding presence may be brought to all people. Let each of us approach our Eucharistic Lord this day with humble adoration, grateful for his goodness to us, that we might know the fullness of his life and love. Amen. The Catechism of the Catholic Church, 1337; cf. 1363-1364. Pope Benedict XVI, Address to the Congregation for Clergy, 16 March 2009. Here is the homily I preached this evening. I'm not quite happy with it yet and I'm thinking of focusing more on the Psalm in the morning. The readings present for us today two covenants, the first a foreshadowing and the second the fulfillment of the first. The first was sealed with the blood of bulls; the second with that of the Son of God. Why were these covenants sealed in this way? It was on Mount Sinai, after the experience of the Exodus from Egypt and after receiving the law from the Lord, that the people answered Moses and the Lord, saying, “We will do everything that the Lord has told us” (Exodus 24:3). They remembered the good deeds he had done for them and responded in kind. Moses then “took the blood and sprinkled it on the people saying, ‘This is the blood of the covenant that the Lord has made with you in accordance with all these words of his’” (Exodus 24:8). It was the blood that sealed the covenant between God and men. The Lord then called Moses up the mountain and, after instructing him in the worship of God, gave him the tablets of the Ten Commandments “written with the finger of God” (Exodus 31:18). Why is this covenant sealed with the sprinkling of blood upon the altar and people? To Moses the Lord said, “For the life of the flesh is in the blood; and I have given it for you upon the altar to make atonement for your souls; for it is the blood that makes atonement, by reason of the life” (Leviticus 17:11). Nothing more valuable could be given to God than blood, yet the blood of bulls and sheep lacked the power to fully atone for all sins and so had to be offered time and again. 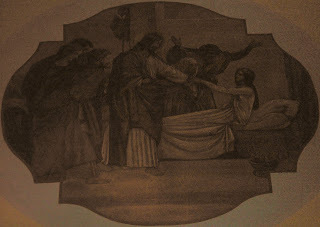 It is against this background that the Lord Jesus gathered in the Upper Room with his Apostles to celebrate the Passover, the Exodus from Egypt. He gave the cup to them, saying, “This is my blood of the covenant, which will be shed for many” (Mark 14:24). With his own blood he seals the new covenant, “once for all,” and gives himself to us that we “may receive the promised eternal inheritance (Hebrews 7:27; 9:15). In giving us the Eucharist as our food and drink – his very own Body and Blood, Soul and Divinity – the Lord Jesus anticipated his death on the Cross and gave each of us a share in it, not only in his death but also in his resurrection. For this reason he says, “I am the living bread that came down from heaven; whoever eats this bread will live forever” (John 6:51). In the Eucharist, he has given us “a pledge of this love, in order never to depart from his own and to make them sharers in his Passover,” and as the memorial of his death and Resurrection so that the grace of his sacrifice might be offered to all people. All of this he accomplished when he said to the Apostles, “Do this in memory of me” (Luke 22:19). Recognizing all that the Lord had done for Israel through the Exodus, the Psalmist asked, “How shall I make a return to the Lord for all the good he has done for me” (Psalm 116:12)? The Apostles, too, asked this question and answered, saying, “The cup of salvation I will take up and I will call upon the name of the Lord” (Psalm 116:13). The question of the Psalmist is one that has long resounded in my heart: “How shall I make a return to the Lord for all the good he has done for me?” There is precious little I can offer in gratitude to the Lord that compares with his goodness. My life has not always been easy – at times it has been almost unbearable – but I have always been certain of the Lord’s closeness to me. In times of profound grief, of grave illness, of uncertainty; in times of great joy and gladness and gratitude; I have always known the Lord’s abiding presence in the Eucharist. To the tabernacle I have often come seeking solace and strength, joy and peace, and this I have always found. The Most Blessed Sacrament of the Altar shows us the tremendous love of God. It is the Lord’s own answer to suffering and pain; he does not simply erase suffering with a brush of his hand; such would be beneath his dignity and unworthy of his love. Rather, he does the inconceivable: he enters into suffering itself, to suffer with us and for us, to give his all for us. He redeems us with his own blood that we might live in and for him. This is true and authentic love; this is the love that is always present with us through the ministry of his priests who are configured to him in such a way as to act in his person; without their ministry there can be no celebration of the Eucharist. I heard him say, “Follow me” and “Do this in remembrance of me.” “The cup of salvation I will take up,” I said, “and I will call upon the name of the name of the Lord” (Psalm 116:13). I sensed that the Lord wanted to use me to make his presence known in the sacraments and there was no other response I could offer. He continues to call men to share in his priestly ministry and, indeed, we need such priests. We need men of courage and faith to heed his command to make bring the Eucharist to every part of the world. If those whom he calls would answer in faith and offer themselves for his service, I daresay we would have no parish without a priest. On Friday, Holy Mother Church will observe the Solemnity of the Sacred Heart of Jesus, which is intimately connected with the Eucharist. On the same day, Pope Benedict XVI will open a special Year for Priests, coinciding with the 150th anniversary of the death of Saint John Mary Vianney, the patron saint of parish priests. This special year, which is meant to encourage priests to strive for spiritual perfection, will conclude one year from Friday. If you love the Eucharist, if you cherish this great treasure which the Lord has left to his Church, pray for your priests, that we might grow daily in holiness and allow the Lord to mold our hearts ever more closely to his own. Pray that we will recognize more and more that “God is the only treasure which ultimately people desire to find in a priest.” Pray, then, that we will be holy and bring the Eucharist to you with reverence and love, that we will allows keep our vows to the Lord in the presence of his people (cf. Psalm 116:18). Pray, too, that more young men will hear the call of the Lord and take up the cup of salvation in his service. Pray that young men will open their hearts to the Lord, recognize his goodness toward them and respond with generous hearts. Let each of us this day approach our Eucharistic Lord with humble adoration, grateful for his goodness to us, that we might know the fullness of life and love. Amen. Fr. Jude Winkler, OFM Conv has discusses Saint Anthony of Padua and the Christ Child at the Word Among Us. I have posted several homilies about Saint Anthony of Padua: with the Christ Child; and the Word of God; on his life; the song he sang at his death; the Responsory of St. Anthony; and the Eucharist; and another on his life. By now you certainly are aware that the Holy Father will inaugurate the Year of the Priesthood on Friday, the Solemnity of the Sacred Heart. Press is planning to publish a book of stories written by priests active in all types of ministries in the church. We want stories and testimonies that speak in a personal way of a priest’s call to his ministry and how his relationship with God sustains him and his work. We also want stories that describe the joys and challenges of everyday life as a priest. title is A Priest’s Life: The Calling, the Cost, the Joy. We plan to solicit stories from priests serving parishes as well as those serving in a variety of ministries, including missionaries and chaplains in prison, military, hospital, and campus ministries. Archbishop Edwin O’Brien of Baltimore has agreed to write a preface for this book. We hope to publish the book in the spring of 2010. How did you hear God call you to be a priest? How has that call deepened over the years? How has it sustained you? How has your relationship with the Lord grown during your years as a priest? How do you stay close to the Lord during your busy days? In what specific ways has God affirmed your call to the priesthood? happened and how did you see God working through you? What is the one thing you most look forward to in your day as a priest? What has been most challenging about advancing God’s kingdom? What has been most fulfilling? Was there anything that happened in your life as priest that marked a turning point in how you approached your ministry? In what ways have your brother priests encouraged and supported you? We would be very excited if you would consider contributing to this effort with a story or witness. We will be editing each story for grammar and sentence structure, so the writing doesn’t have to be perfect, but we do want stories that are personal and compelling. If you can help advance this mission with us, we would be most grateful. And we would be happy to interview you by phone if you have a story to tell but don’t have the time to write it down. We are unable to pay you for your story, but we will give you ten free books when it is published. If you have any questions or want to talk more about this project, please contact me at pmm@wau.org or by phone at 1-800-775-9673, extension 2109. I’d be delighted to speak to you. In order to publish this book during the Year of the Priesthood, which begins this month, we will need to have your witness or story by September 15, 2009. Someone sent to her the story of how I was called to the priesthood and she requested permission to include it in this forthcoming book; I happily gave her permission to do so. If you know the story of a priest and think others might be interested in reading it, why not pass this along to him or contact Ms. Mitchell? If you haven't browsed WAU publications, you really should take a moment to do so. Last summer I called to request copies of their monthly publication to help our pilgrims with daily readings, reflections, etc. and they generously gave them to us free of charge. The Effingham County Right to Life will offer everyone the opportunity to ask God's forgiveness for the millions of lives lost through abortion, assisted suicide and euthanasia by hosting a day of prayer and Eucharistic adoration in St. Francis of Assisi parish in Teutopolis on June 24th. Father Thomas Euteneur, President of Human Life International, will celebrate the Holy Mass to close the day of prayer at 7:30 p.m. He will also preach the homily. The day of prayer will begin with Mass at 8:00 a.m.
Parishioners of St. Anthony of Padua parish are asked to adore the Eucharistic Lord from 10:00 a.m. to 11:00 a.m., but are also welcome throughout the day. Area youth are asked to adore the Lord from 4:00 p.m. to 5:oo p.m., but are also welcome throughout the day. 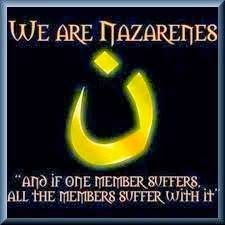 Please, if you are able, stop by the church and ask our Lord for forgiveness and the grace of conversion for many. I will be unable to be present for the day of prayer because I will be at mission work camp with many of our youth. Sandro Magister has a good article discussing the reason behind Pope Benedict XVI’s decision to announce the Year of Priests. Over at Adam’s Ale, Father V. has an interesting reflection on the Collect (opening prayer) for the Mass of Corpus Christi. Reader Jake sends along this interesting house that almost looks like a Hobbit hole. I want a Hobbit hole. The Damien de Vuester blog carries an article about teaching Father Damien in the classroom. Adoro is preparing to visit a Religious Order to discern her future with them and needs your help, both prayerful and financial. Please, if you have the means to do so, won’t you give her alms? Carl Olson offers a reflection by Pope Benedict XVI on Corpus Christi. You may recall a post sometime back in which I noted that Illinois State Representative David Reis (R) introduced House Resolution 417 which we remove State funding to Planned Parenthood of $5 million each year. I am pleased to inform you that, although there is still much work to be done in Springfield regarding our budget, the House was successful in preventing the abortion expansion bill, HB 2354 - otherwise misleadingly referred to as teh Reproductive Health and Access Act - from passing during this year's General Assembly Spring Session. Thanks to vocal opposition from mindful citizens such as you, this legislation never garnered enough support to be called to a vote. In addition, reacting to th fiscal crisis that the democrats have placed in our state in, I filed House Resolution 417 asking the General Assembly to cease its funding of Planned Parenthood abortion clinics in Illinois which have received over $25 million from the state over the last five years. Keep up the good work, Mr. Reis! One of Archbishop-Designate Lucas’ last acts as Bishop of the Diocese of Springfield in Illinois saw the appointment of numerous Pastors, Parochial Administrators and Parochial Vicars. One of these Parochial Vicars is the priest who will replace me here at St. Anthony of Padua parish: Father Davies Edassery, SAC. His appointment begins the first of October. One of our parishioners asked what the SAC meant at the end of his name. A good question and one that I did not know straight away, but now do: Society of the Catholic Apostolate. This apostolate includes the Pallotine Fathers, of which Fr. Edassery is a member. It has been frequently asserted over the past several years – perhaps even centuries, for all I know – that people listen to music for the beat and melody without paying heed to the lyrics. We hear this especially from the youth who claim the lyrics do not subconsciously shape their thoughts (which is often not the case). Be it naiveté or ignorance or simple refusal to admit it, I suspect it is a claim that has long been made, both by the young and the old. It is a claim that Saint Ephrem , whose memorial we celebrate today, knew to be false. In his day, singing during the Liturgy was uncommon, though songs were frequently found on the lips of the heretics who knew well that little jingles long remain in the mind and are, at the very least, repeatedly hummed by those who hear them. With the passage of time the words that accompany the tunes begin to sink in, thus altering someone’s thoughts and beliefs or planting seeds of false doctrine in an uncatechized mind. Ephrem, a Syriac deacon, recognized the danger here as he saw heretical beliefs grow so he took the tunes of the heretics and put his own lyrics to them, always remaining faithful to the true faith. He even organized a choir to sing his songs in the church and from there his good jingles took root in the people and slowly brought them back to the faith of the Church. Poetry enabled him to deepen his theological reflection through paradoxes and images. At the same time, his theology became liturgy, became music; indeed, he was a great composer, a musician. Theology, reflection on the faith, poetry, song and praise of god go together; and it is precisely in this liturgical character that the divine truth emerges clearly in Ephrem’s theology. Regretfully, this unity between theological reflection and song is somewhat lacking in much of contemporary “church” music. It is often bad enough that the melodies are trite, but much of the time the lyrics are banal if not downright false. Certainly there is good music being composed today for use within the Liturgy, but not enough. gives his poetry and liturgical hymns a didactic and catechetical genre: they are theological hymns yet at the same time suitable for recitation or liturgical song. On the occasion of liturgical feasts, Ephrem made use of these hymns to spread Church doctrine. Time has proven them to be an extremely effective catechetical instrument for the Christian community. Have you ever simply sat down with a contemporary hymnbook and simply read the lyrics on their own? Try it some time and see if the same be said for them as for Ephrem’s songs. I suspect not. Will our songs today really prove to be effective for catechesis? Let this be the aim for composers today. In his own day Ephrem was called “the Harp of the Holy Spirit.” May he send us many more such harps in our own day. This morning after Mass I had the pleasure of visiting with one of the Sisters of Life. Sister is a native of Teutopolis (just four miles away) who comes to our 8:30 a.m. Mass when she is visiting her family so she can sleep in a bit (I don't blame her!). I didn't have my camera handy, but maybe I'll be able to get a picture tomorrow. We visited for about half an hour talking about both of our lives. Sister works in the Generalate of the Order. The Sisters of Life were founded by Cardinal O'Conner in 1991 and already number 60 Sisters; they are expecting 6 to 12 postulants to soon enter. These Sisters do tremendous work with women who are considering an abortion. Please keep these good Sisters and the women to whom they minister in your prayers. There is an excellent reflection on today's Gospel at the blog of Abbot Cuthbert Johnson. Do have a read. Before being entrusted with an ecclesiastical office, the law of the Church requires the one who is to receive the office to take the oath of fidelity. I first took the oath shortly before I was ordained a deacon and I will soon take it again when I assume the office of Pastor of Sacred Heart Parish in Virden and of St. Patrick Parish in Girard. The oath is taken in the presence of the Diocesan Bishop or Administrator, the Vicar General the Vicar for Clergy or the Vicar Forane (commonly called the Dean of a Deanery, at least here in our Diocese). The one taking the oath places his hand upon the Gospels, recites the oath and signs it, where it is placed in his file. His Excellency has directed me to take the oath on September 15th, or very soon after that date. That week the priests of the Diocese will be gathered for their annual convocation so I will have to take the oath away from my parishes, but it should then be easy to find the Diocesan Administrator. I, Daren J. Zehnle, on assuming the office of pastor of Sacred Heart Parish, Virden, Illinois, and of Saint Patrick Parish, Girard, Illinois, promise that I shall always preserve communion with the Catholic Church whether in the words in I speak or in the way I act. which I am bound in relation both to the universal church and to the particular church in which I am called to exercise my service according to te requirements of the law. shall look after the observance of all ecclesiastical laws, especially those which are contained in the Code of Canon Law. With Christian obedience I shall associate myself with what is expressed by the holy shepherds as authentic doctors and teachers of the faith or established by them as the church's rulers. And I shall faithfully assist the diocesan bishops so that apostolic activity, to be exercised by the mandate and in the name of the church, is carried out in the communion of the same church. Sister Mary Martha provides a concise history of Christianity. Diogenes comments well on the White House statement that Judge Sotomayor attends Mass for “family celebrations and other important events.” Sadly, there are too many like her in this regard. A Catholic Mom in Hawaii gives us several spiritual maxims from St. Alphonsus Ligouri for those who wish to be perfect. Adoro passes on the sad news that a Protestant bishop in Phoenix has been sentenced to ten days in jail and three years probation because he rang the Cathedral bells. Fr. Z. passes on the news that Catholic Answers has sued the Internal Revenue Service for intimidating churches. Since Wednesday's unexpected announcement of Pope Benedict XVI's appointment of the Most Reverend George J. Lucas as the Archbishop of Omaha, many of the high school students have asked me a rather clever question. Realizing His Excellency was no longer the Bishop of the Diocese of Springfield in Illinois but the Administrator, the students asked if I still had to leave the parish in September. Their affection for me and their desire to have me remain here is deeply humbling; I am continually baffled at the profound I seem to have had in their lives. I can only look back on these past four years with wonder and joy. Being here with them has truly been one of the greatest joys of my life and I am deeply grateful to God for the many blessings he has worked in my life through them and in their lives through me, as I am also grateful to the students themselves. Even so, I accept this new assignment as the Lord's will for my life and am confident that it will be filled with many blessings and joys. At any rate, the short answer to their question is yes. In order for a transfer from one office to another to take effect - in this case from the office of Parochial Vicar to the office of Pastor - it "must be communicated in writing" (canon 190, 3). On the 26th of May, eight days before his appointment to the See of Omaha, then-Bishop Lucas signed the Decree of Appointment; I received it the next day. Because he was at that time the Bishop of the Diocese of Springfield in Illinois, the Decree stands. to be Pastor (c. 519) of Sacred Heart Parish, Virden, Illinois, and of Saint Patrick Parish, Girard, Illinois, from parochial vicar of Saint Anthony of Padua Parish, Effingham, Illinois, effective September 15, 2009. I dispense him from any partiular ritual of taking canonical possession of these parishes, and ask that he communicate this to the parishes (c. 527, 2). He is to return the completed oath of office (c. 833, 6) to me as soon as possible after the date of his appointment. I think I will post the oath of office tomorrow. Such is the response often found on the lips of those offering religious instruction who don’t quite know how to respond to a question. It is also the response many atheists posit on the lips of believers they wish to portray as intellectually stunted. In the first instance such a response is unfortunate and often unhelpful; in the second it is unwarranted. The Church refers to many mysteries, such as the mysteries of the rosary. Today we celebrate the Solemnity of the Most Holy Trinity, the foundational mystery of the Christian faith. When we speak of a mystery it is clear that we do not mean a puzzle to be solved; within the Church we do not use the word as it is commonly used. What, then, do we mean when we speak of a mystery? The word mystery comes from the Greek word mysterion, which has as its root the word muo, meaning to close or shut. The word mystery, then, means to shut the mouth. One of my professors put it this way: a mystery is that which can never be exhausted. Try as we might, we can never say all that there is to say. In the end, all we can do is gaze in awe with our mouths shut silent, or else gaping wide in wonder. Legend has it that as Saint Augustine was preparing his monumental work on the Trinity he was walking along the sea pondering the mystery of the Godhead when he came upon a young boy. Augustine watched the boy repeatedly carry a bucket to the sea, fill it with water and empty it into a hole in the sand. After some time the saint asked the boy what he was doing. “I’m going to empty the ocean into this hole,” came the reply. The mystery of the Most Holy Trinity is the central mystery of Christian faith and life. It is the mystery of God in himself. It is therefore the source of all the other mysteries of faith, the light that enlightens them. It is the most fundamental and essential teaching in the “hierarchy of the truths of faith” (234). If you’re curious, I “recycled” a homily this weekend, preaching again the one I preached on the Solemnity of the Most Holy Trinity two years ago. The parishioners liked it then and seemed to like it again. The above image is from the church of St. Augustine by the Sea in Waikiki. N.B. : The Medieval Sourcebook has a great collection of the correspondence of Saint Boniface, in addition to The Life of St. Boniface. With Archbishop-Designate Lucas' appointment to Omaha, not only will be unable to see the restoration of the Cathedral of the Immaculate Conception to its completion, he will also not be present to begin the Year of Prayer for Priestly Vocations that he announced at the Chrism Mass. Presuming we will not have a Diocesan Bishop before the beginning of December, I do hope the Diocesan Administrator, whomever he will be, will keep this plan. Are you still praying your daily Hail Mary for vocations His Excellency asked us to pray? This summer, a former coach of our soccer team is hosting practices for our soccer players each Tuesday and Thursday evening through July and the team will also play in several pick up games. Our first practice was held just two days ago. Prior to practice the weathered seemed threatening but we had practice nonetheless, with about a dozen players in attendance. Halfway through practice the rain began to fall, so we simply continued in the rain. I found it rather enjoyable. Toward the end of practice, the coach had the boys practice their guarding skills and, since we had an odd number of players, had me guard one of the boys, an incoming freshman less than half my age. As I ran about trying to keep up with him (many times I just gave up) I couldn't help but think the situation rather unfair. Then the coach had me switch to guard one of our visiting players who graduated two years ago. And who as a member of the team that made it to the sweet sixteen. That certainly was unfair, but much fun. At one point as I ran toward the ball I received a good push from behind and missed the ball. I turned to the player who gave the push and said, "You're not supposed to shove the priest!" He answered something to the effect of, "Father, this is the soccer field; that doesn't matter here." Fair enough. As the grass was very wet yesterday and I was in tennis shoes I was sliding about all over the place. I fully expect the coach to me to more such use as the summer progresses so a short while ago I went out and bought a pair of cleats. Now I'm ready for practice in two hours. Yesterday's announcement of His Excellency the Most Reverend George J. Lucas as Archbishop of Omaha brought an unprecedented number of visitors to these humble pages: 976. For many Catholic blogs, this is but a small number, but for this blog, which typically sees between 250 and 300 hits a day, it is quite a figure. A warm welcome to all, and many returns! What I said in that post were the honest feelings of my heart, but I do not recall feeling betrayed by then-Bishop Lucas. On the contrary, I did, in point of fact, feel calmed by him. With many Catholics in Quincy, I did feel a sense of betrayal, not from then-Bishop Lucas, but from another individual whom I will not here name. The Reverend Monsignor George J. Lucas, then the Rector of Kenrick Seminary in St. Louis, was appointed the eighth Bishop of the Diocese of Springfield in Illinois and was ordained a Bishop on 19 December 1999. Nearly ten years later, the Most Reverend Father has been named the Archbishop of Omaha. I was a senior history major at Quincy University when His Excellency first came to our Diocese and it was he who accepted me as a seminarian. It was Archbishop-Designate Lucas who received me into the ministry of Acolyte and who ordained me a Deacon and a Priest. Consequently, he is intimately connected with my life. Throughout my seminary days I was filled with profound respect for him, a respect which continues to this day. He is a calm and gentle man, filled with a sense of purpose and a quiet personality. His humor often catches you by surprise and is of the witty strand, most enjoyable. Prior to the official closing of my home parish, I twice wrote to His Excellency clearly expressing my thoughts and concerns regarding the planned closing and merger. I was blunt, honest and direct in these letters and His Excellency twice responded kindly in writing. During a conversation at a Diocesan event, he personally invited me to come speak with him, if I so desired. We arranged a meeting the next week. His Excellency showed his great concern and compassion not only in this invitation – which he did not have to give – but also in his willingness to listen to me. I arrived at his office about twenty minutes late because of unexpected traffic on the highways, but this did not bother him at all. I thought the meeting would last about thirty minutes; I spent an hour and a half with him. He listened again to my concerns and hurts and for this I remain grateful and indebted to him. He already knew my thoughts and he must have known what I would say to him in person, yet he offered to meet with me nonetheless. That shows a courageous, humble and compassionate man. I do not share the sense of betrayal felt by St. Elsewhere, though I do sympathize with him or her. The pain of the closing of my home parish still is deep, but I do not feel betrayed. My admiration for Archbishop-Designate Lucas continues today and in no small measure because of our differences. I am certain that his ministry in Omaha will bear much fruit. Each month this summer St. Anthony of Padua parish will host a Classical Music Series featuring various musical compositions and instruments. The first such event will be held this Sunday, June 7th, at 7:00 p.m. in the church. Pianist Robyn Wells will give a 75 minute concert featuring the music of Schubert, Faure, Mozart, Chopin, Saint-Saens and others. All are welcome to attend. A free will offering will be taken. The press conference held by Archbishop-designate Lucas will be live streamed. nuncio to the United States. at the St. Cecilia Cathedral Center. Archbishop-elect Lucas said he looked forward to collaboration and asked for the help of the lay faithful, those in consecrated life, deacons, and especially the diocesan and religious priests serving in the diocese. Archbishop-elect Lucas was ordained bishop of the Springfield Catholic diocese on Dec. 14, 1999 at the Cathedral of the Immaculate Conception in Springfield. means that I will be leaving the Diocese of Springfield in Illinois, which has been my home for nearly 10 years. The joy of being able to say yes to the pope without hesitation is tempered by the sadness I feel at the prospect of leaving this diocese and all of you. It has been a blessing and an honor for me to serve as your bishop.”Archbishop-elect Lucas will be installed as 10th bishop and fifth archbishop of Omaha on Wednesday, July 22. Until then, he will act as administrator of the Springfield diocese. After the installation in Omaha, the college of consultors for the Springfield diocese will meet to name an administrator to handle the day-to-day operations of the diocese until a new bishop is ordained or installed. A native of St. Louis, Archbishop-elect Lucas is the first of four children born to the late George J. and Mary Catherine Kelly Lucas. He graduated from St. Louis Preparatory Seminary South in 1967; Cardinal Glennon College in St. Louis in 1971, with a bachelor’s degree in philosophy; and Kenrick Seminary in St. Louis in 1975. He was ordained a priest of the Archdiocese of St. Louis on May 24, 1975, and named Honorary Prelate of His Holiness (Monsignor) on Sept. 5, 1994..In the St. Louis archdiocese, he served as associate pastor at St. Justin, Martyr Parish in Sunset Hills from 1975 to 1980; St. Dismas Parish in Florissant from 1980 to 1981; Our Lady of Mt. Carmel Parish in St. Louis from 1981 to 1984; Ascension Parish in Normandy from 1984 to 1986; St. Ann Parish in Normandy from 1986 to1989; and St. Peter Parish in Kirkwood from 1989 to 1990. He completed his graduate studies at St Louis University and received a master’s degree in history in 1986. In 1981, he was appointed to the faculty of St. Louis Preparatory Seminary-North, and then served on the faculty of St. Louis Preparatory Seminary from 1987 to 1990. He served as chancellor of the Archdiocese of St. Louis from 1990 to 1994 and was vicar general in 1994/1995. He was appointed rector of Kenrick-Glennon Seminary in 1995 and served there until appointed by Pope John Paul II on Oct. 19, 1999, to succeed Bishop Daniel L. Ryan as bishop of the Diocese of Springfield in Illinois. 28 counties of the diocese. In 2002 then-Bishop Lucas implemented the first permanent diaconate formation process in the history of the diocese. The first class of 17 deacons was ordained in June 2007 and the second class of 11 candidates will be ordained for the diocese on June 20. In February 2008, then-Bishop Lucas announced an $11 million restoration/renewal program called Built on Faith, Renewed in Hope for the Cathedral of the Immaculate Conception. Built in 1928, the mother church of the diocese had no substantial improvements in its 80-year history. After more than a year of extensive labor, the restored Cathedral is scheduled to re-open in late 2009. As the new leader of the Archdiocese of Omaha, Archbishop-elect Lucas becomes chief shepherd for the church in 23 northeast Nebraska counties with an area of 14,051 square miles. The general population of the area is over 880,000 people and Catholics number about 221,000. There are 148 parishes and missions in the archdiocese. Serving in the archdiocese are 287 priests, 250 deacons 297 religious sisters and 23 brothers. Nearly 23,000 students attend two Catholic universities, 58 elementary schools and 18 high schools in the archdiocese. Archbishop Curtiss, who has led the archdiocese for 16 years, was ordained a bishop and installed as Bishop of Helena (Montana) on April 28, 1976. 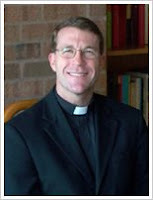 He served the Diocese of Helena 17 years. On May 4, 1993, he was appointed Archbishop of Omaha. 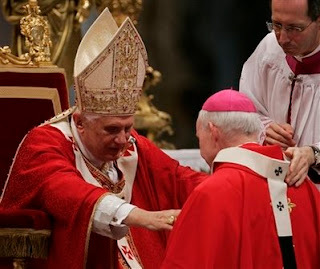 On June 16, 2007, Archbishop Curtiss turned 75 years old and submitted his resignation to Pope Benedict XVI. Before his resignation was accepted by the pope, he was the oldest active diocesan bishop in the United States.